Earlier this year, three feature articles on the history of Saudi Arabia appeared in this newsletter. They were based on materials available from the Saudi Speakers Bureau. This week we return to that subject with a fourth installment. In these difficult times, it is important to remember the significant contributions Islam has made to modern civilization. Much of the modern Western world was built on classical knowledge preserved by Muslim scholars and significant break-throughs in math and science and agriculture that emanated from the Muslim world in an era known as "The Golden Age of Islam." According to respected sources Christian and Muslim alike, Islamic caliphs showed noteworthy tolerance toward the religious beliefs of the peoples they conquered, at the same time welcoming conversions to the Islamic faith. Christians and Jews living under Islamic rule were allowed to practice their faith with few restrictions, and adherents to those faiths held many important public posts. At the same time, all Muslims were expected to learn Arabic so they could read the Qur’an. This sharing of a common language helped to unite the diverse ethnic groups encompassed by the sprawling Islamic empire. It also made possible the easy exchange of knowledge and ideas, with profound and lasting and widespread results. Through a long series of conquests over a host of cultures, the caliphs created a vast empire lacking internal political boundaries that was largely free from external attack. Internally, life in the Islamic world was relatively peaceful and secure compared with the conditions prevailing in much of the rest of the world. One fortuitous result was, trade and intellectual and cultural exchanges flowed freely across the Islamic world, bringing together the knowledge and wisdom of India and China, ancient Greece and Rome, Persia and Egypt. Muslim rulers in the main left their new conquests administratively and intellectually intact, preserving, not destroying, the best of those civilizations. The Roman Empire at its height at the time of Christ enjoyed what historians call “Pax Romana”—Roman Peace; similarly, the Muslim Empire at its height in the centuries following the conquests initiated by Muhammad enjoyed what some historians call “Pax Islamica”—Islamic Peace. With the ascendancy of the Abbasid dynasty in 750, twelve years later the political center of the Muslim world shifted from Damascus to the new city Bagdad built on the west bank of the Tigris River. The spiritual capital of Islam, however, remained Makkah. For over 1,000 years, until the rise of the House of Saud and the forming of modern day Saudi Arabia, the holy cities of Madinah and Makkah were under control of the Sharif of Makkah, who himself owed political allegiance at various times to major Islamic empires based elsewhere in places like Bagdad and Istanbul. Following the fall of the Roman Empire in the fifth century CE to barbarian invaders from the north, Western Europe entered a period popularly – and, many historians argue, inaccurately – referred to as the “Dark Ages.” Once-prosperous cities like Rome began a slow, steady decline economically and socially, and intellectual life stagnated. In some places, it disappeared all but completely. Islamic civilization at its height during the European Middle Ages embodied Muhammad’s belief in the paramount importance of knowledge. The Muslim world, stretching from east of Arabia across the southern shore of the Mediterranean into Spain, in the mid-ninth century CE entered a period of astonishing economic, cultural and scientific achievement that lasted some 400 years until invading Mongols sacked Bagdad in 1256, toppling the Abbasid caliphate. Muhammad had mandated public education for Muslims, giving a tremendous boost to the pursuit of knowledge. This era is known as the Golden Age of Islam. About when the Abbasids came to power, paper making technology was introduced into the Muslim world from China, leading directly to the replacement of expensive parchment and papyrus with inexpensive paper in the making of books and documents. There soon followed an explosion of printed works, accompanied by the rapid expansion of knowledge of all sorts as extensive libraries, both public and private, sprang up throughout the Muslim world. 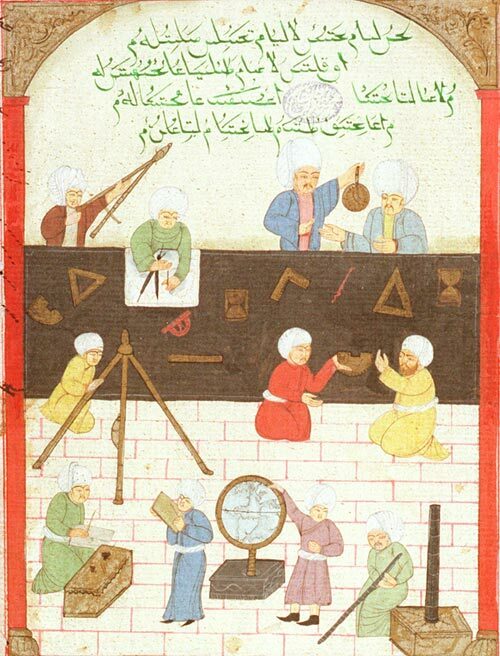 Under Abbasid rule, the Muslims built the world’s first astronomical observatory and scientists speculated on the rotations of the planets around the sun, this at a time when many believed that the world was flat. Arab scholars were able to use their knowledge to calculate the circumference of the earth to within a few thousand feet. Arab cartographers used their extensive knowledge of the world beyond their immediate borders to produce the finest maps the world would know for many centuries. While the literacy rate in Western Europe outside the confines of the Catholic church fell precipitously, Arab scholars translated classical Greek works into Arabic, including the works Aristotle and Plato, helping to preserve vital texts fundamental to the development of modern civilization that otherwise might well have been totally lost. 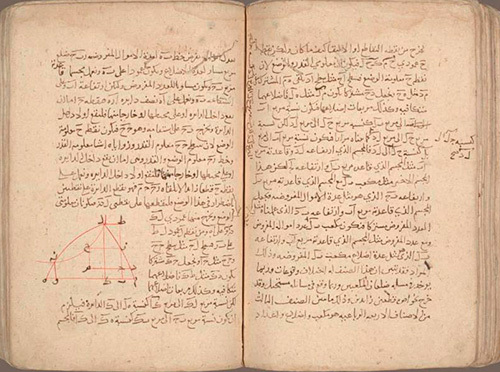 Arab mathematicians from this age developed and refined algebra and geometry and spread the use of Arabic numerals – originally brought in from India – in place of cumbersome, unwieldy, severely-limiting Roman numerals. As well, they introduced the concept of zero. Innovations such as these opened up an entirely new world of scientific exploration that would have been impossible to enter otherwise. 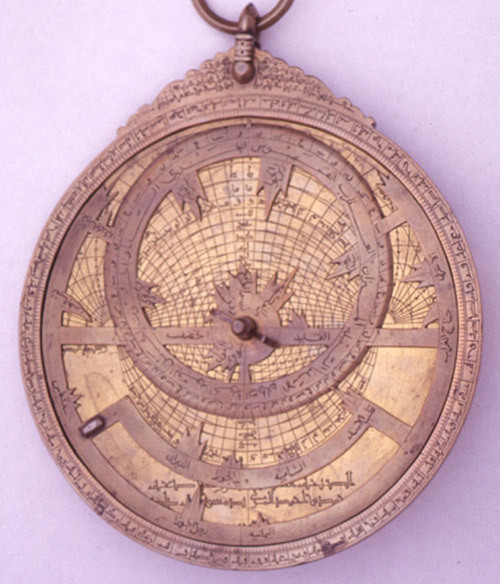 Other innovations and breakthroughs introduced by Arab scholars with no counterparts in Europe at the time included the astrolabe for navigation, advances in health care and medicine, new methods in agriculture and livestock breeding and water distribution, and fresh approaches to understanding history and philosophy – to name just a few. By a host of important measures, over a period lasting nearly a millennium, the culture and civilization of Arab lands shone brightly. When European entered the era known as the Renaissance (“rebirth” in French), Arab contributions to that reawakening were prodigious. In 1453, invading forces of Ottoman Turks led by Mehmed II captured Constantinople, bringing an end to the thousand-year reign of the Byzantine Empire. Under a succession of conquering sultans, the Ottomans extended their empire northeastward into the Balkans and central Europe, northward into Ukraine and Russian territories, eastward into the Caucasus and present-day Iraq and Iran and westward along the southern coast of the Mediterranean Sea from Egypt all the way to Algiers. While the Ottoman Empire ruled the eastern and western coastal areas of the Arabian Peninsula, including Makkah and Madinah, the interior territory and southern reaches of the Arabian Peninsula were never conquered by their armies. A unified Muslim Ottoman Empire continued to thrive through the Renaissance and Reformation periods in Western European history on into the seventeenth century and the emergence of Early Modern Europe. Just when powerful monarchies in France and England and Spain were consolidating their control over the territories that comprise the modern nations we know today, a series of military defeats brought a final end to Ottoman expansion and led to the rise of smaller Muslim kingdoms. While science and industry and commerce progressed in Europe, they began to lag in Muslim lands. During this time, the Arabian Peninsula entered into a period of relative isolation. Nonetheless, throughout the centuries, all the way up to today, Makkah and Madinah remained the spiritual heart of the Islamic world and continued to attract pilgrims from many countries around the world.